17th June. By eaa. Posted in Uncategorized. 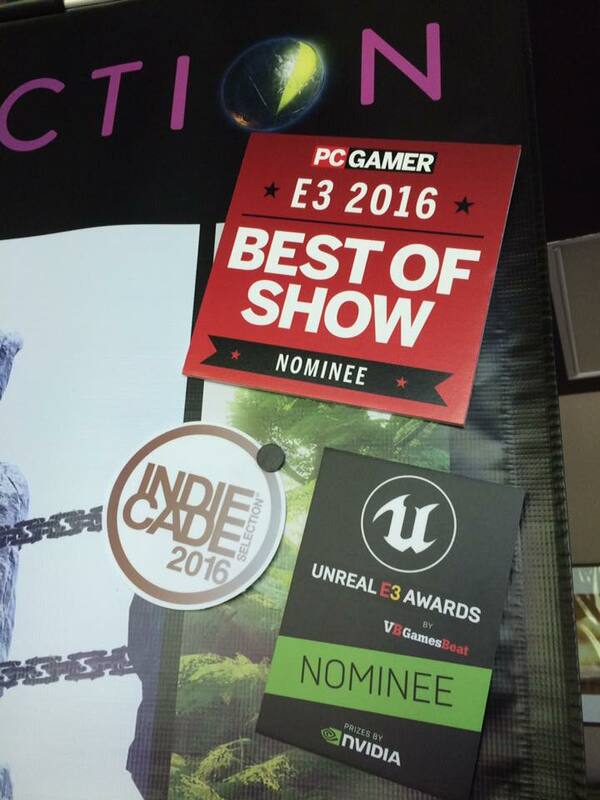 Obduction was shown off at E3 2016, both in 2D at the IndieCade booth, and also in VR at the UploadVR event, as well as scheduled private demos. By all accounts, the demos were well received, and the team and I were very pleasantly surprised to learn we received several “Best Of Show” nominations!